Mo Salah is not only a flying winger who scored 19 goals last season and registered 12 assists – he’s the epitome of what Jurgen Klopp looks for in his attackers, too. The 24-year-old combines genuine end-product with a willingness to work for his team. “We want to achieve important targets in terms of culture, method and style. In order to do this, I have to be the first to set the example and show the right direction to take. I want the best and most suitable players beside me with this in mind. “I sometimes think there’s some confusion on certain important messages. If you like, I will show you an example of fantastic, brilliant habits. It’s very simple and it’s not just that the player in question went to recover a lost ball. You’ve made fun of me for years about this concept of the right habits. “The example that I will show you is when the score was 4-0 in the 75th minute after he[Salah] had already scored two goals. This is what I understand as heart and tremendous behaviour. “If every player in our squad applied the same level, we’ll get so much satisfaction for a team that has a brilliant heart. Salah’s defensive, selfless action here remind us so much of Roberto Firmino – who’s probably the most ‘Klopp-type’ player we have in our squad. 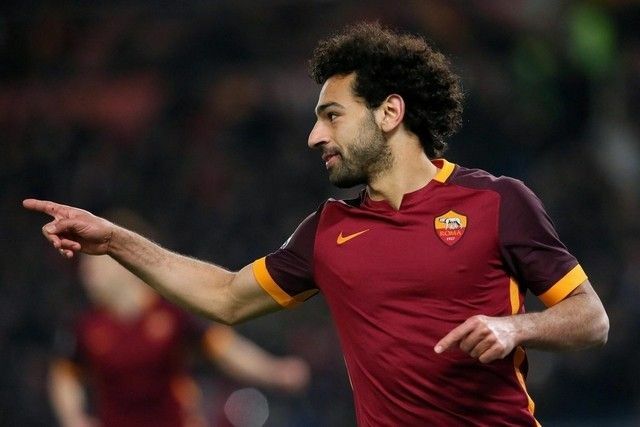 The idea of working hard for the good of others and the collective is one Klopp swears by, and the fact Spalletti uses Salah as an example of this ethos demonstrates why Liverpool are so keen to sign him. We’re currently locked in negotiations for the wing-forward, having had a £28m bid turned down. However, the Daily Mail says we’re hoping to get a deal done for around £35m – with £90k/week wages to boot.